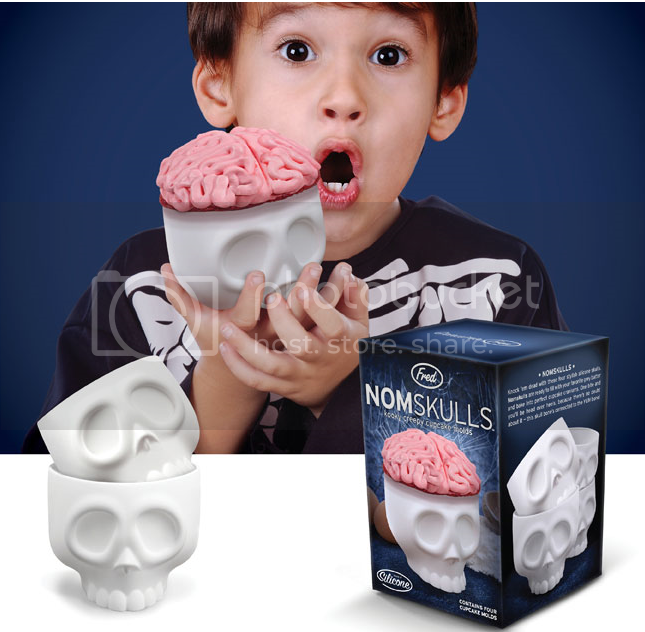 Thanks to Ivan and my brother, Steve, for sending me the link to this most awesome, must have skull item! 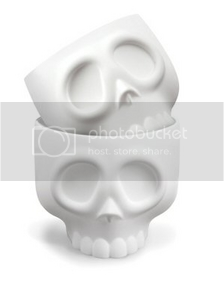 NOMSKULLS™ are silicone skull cupcake molds that are just too cute for words. I love how they are pictured with the brain frosting but I would probably round the top of the cupcakes so that it would look like a fully formed skull. Red velvet cake and white frosting - yum! UPDATE: These are now available on Amazon.com for only $12.00! I was hesitating on posting these because they are not for sale quite yet, but I had to share. I have myself on the email list so as soon as they become available I'll update this post. Halloween is right around the corner so expect more skull stuff soon! 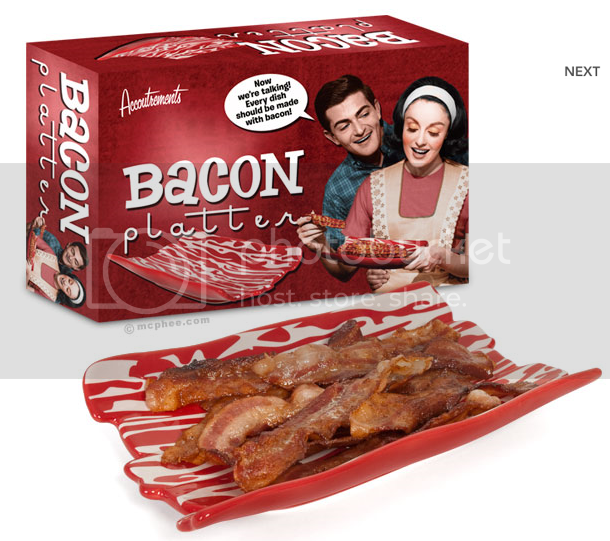 New from my heroes, Archie McPhee, is this fan-f'ing-tastic ceramic bacon platter. 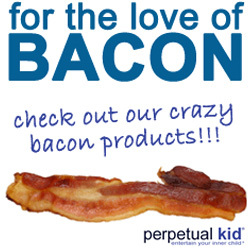 It looks like bacon and holds your bacon! 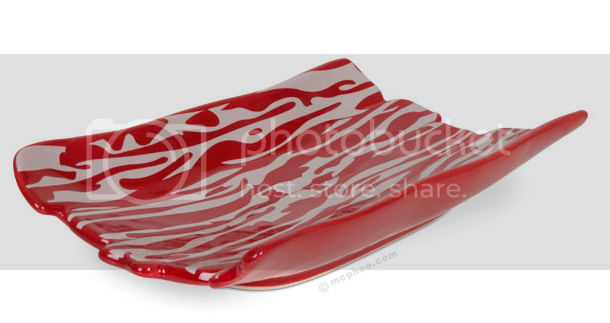 This 10 1/4"x6" platter has slighly sloping sides to keep all the bacon grease in check. I'm sure you can't count how many times I''ve said that I want or need something that I've posted, but this time I'm deadly serious. I'm breaking out the credit card RIGHT NOW. 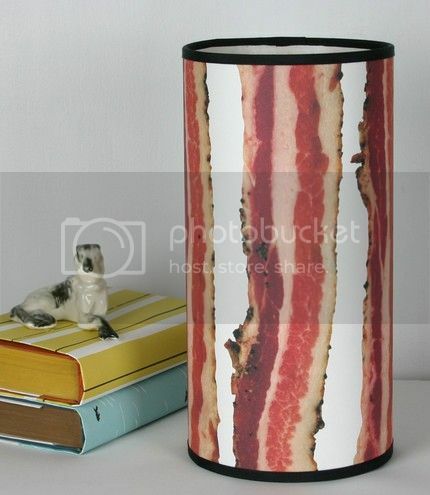 Wandering around Etsy.com today, I ran across this amazing Bacon Lamp ($35.00). Made of archival ink and paper, the bacon looks great in the daylight but this lamp really comes to life with it's bacony glow. 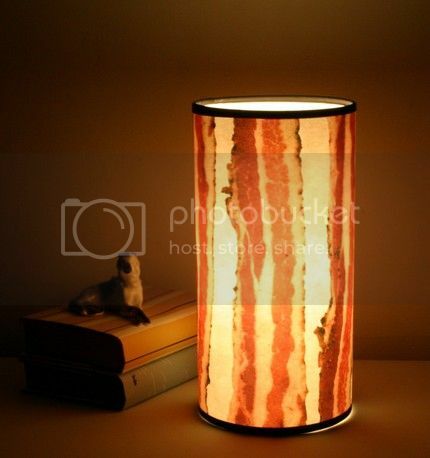 The only other bacon lamp I've seen was made out of real bacon and, well, while that's cool, it's not very practical, is it? 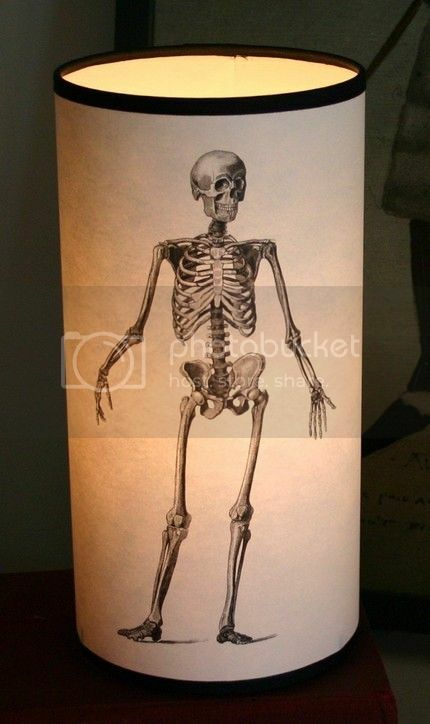 The artist, Monica (czechpub on Etsy), also has a really great Skeleton Lamp for sale. Check out her other lamps and she takes custom orders as well; the possibilities are titillating!